Apparently this was adapted from this blog post by Jonathan Nightingale. 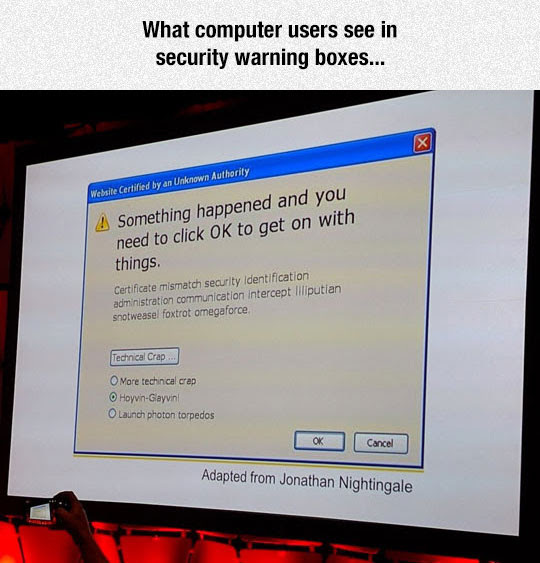 It is unfortunately true that users see security warnings as little more than interruptions to be bypassed as quickly as possible, but I don't think any change we make to the wording of those warnings will change that perception. That perception is more about users' expectations about the safety of computers and the Internet not matching up with reality, and we've spent a very long time building up those expectations.